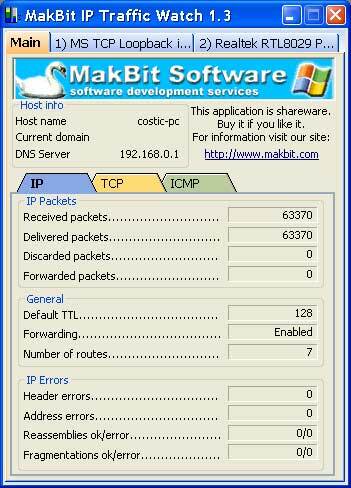 MakBit Software - MakBit IP Traffic Watch. 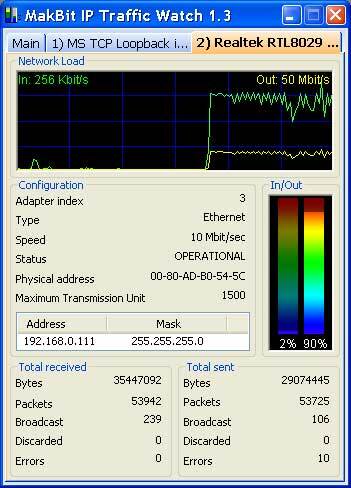 MakBit IP Traffic Watch is a simple and powerful tool for monitoring network activity. The application displays real-time network load in charts and tables. This tool will help you analyze direction and volume of Internet traffic. You can track network traffic and detect spyware, adware, viruses and other suspicious activities, before they compromise you system's security. Compatible with Windows 2000/XP/2003.